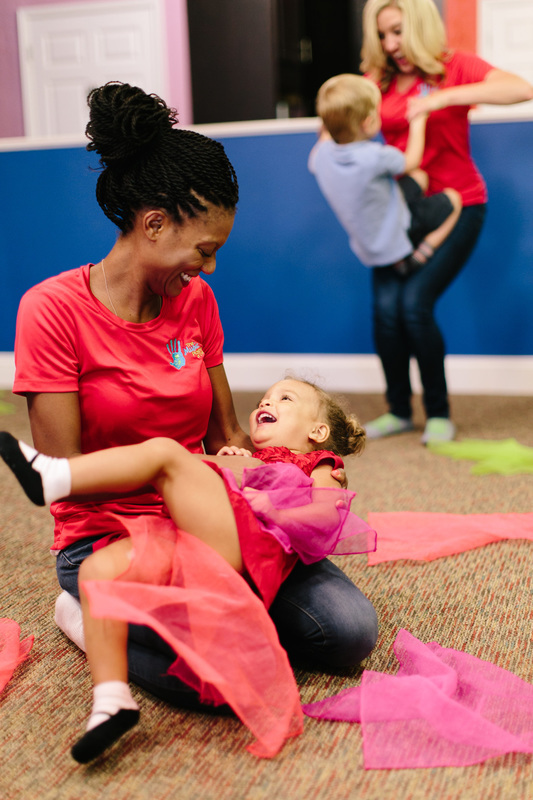 Come experience our fun-filled classes of singing, dancing, movement, and instrument play! Our classes are designed for babies, toddlers, and young children ages 0-6 to enjoy with a parent or caregiver. Each class features non-stop songs and activities from the various award winning music collections provided by The Music Class, Inc. Parents and caregivers will also learn the best tools and techniques for continuing their child’s education at home! Give your child the competitive edge by discovering the developmental benefits of music class! The most critical time in a child’s development is from birth through age five. More than just a sing-a-long, the programs we offer (Music Pups® and the Advanced Music Class) are highly interactive, physically engaging for every child, super energetic and fun, and specifically designed to expose your child to a wide variety of scales, rhythms, instruments, and styles to maximize musical potential. 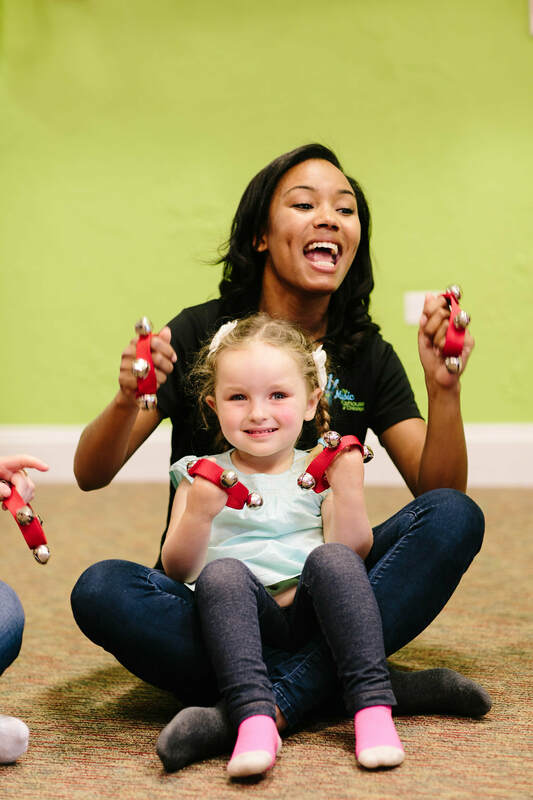 Our mission is to stimulate brain and muscle development through music and encourage musical aptitude while providing a fun, safe, and energetic learning environment for children and their parents. Our dedicated and talented teachers are carefully trained to stimulate this learning through playful classroom interaction! Researchers have documented that exposure to music in early childhood has a positive effect on the brain, and that the earlier you start, the better! Early childhood music classes are essentially "step one" in a child's music education. Our primary goals are to achieve Independent Music Accuracy: the ability to sing in tune and keep a steady beat, and to instill a life-long love and understanding of music! We are a small, family-owned, independent business with an excellent team of dedicated teachers. We have been making music with families on Southport in Lakeview for over 10 years! The Music Playhouse of Chicago team passionately believes in the power, the joy, and the effectiveness of music education. We are honored to be a significant, positive influence on the lives of our young students, and delighted to provide a strong foundation for a lifelong love and understanding of music! All of our talented teachers are professional performers who love children and have strong musical skills. We seriously love what we do, and we love being a part of your family's week! See "Teachers" to learn more about Miss Emma, Miss Crystal, Miss M&M, Miss Erin, Miss Jaime, and Miss Kat! We offer several classes throughout the week. Families register for a 10 week session at the regular weekly day and time that best fits your schedule. Once you register, Music Pups® students receive the current music collection Songbook and CD along with access to music downloads, and Advanced Music Class students receive access to the Portal. Our Makeup Policy allows 3 opportunities to makeup missed classes. We have four sessions per year: Fall, Winter, Spring, and Summer. Check our page "Session Dates" for details on the current and next session! See "Programs" for program details and how to register. Missed the session start date? No problem! Join us anytime and pay only for the remaining weeks of the session. New to The Music Playhouse of Chicago? Contact the office to schedule a free trial class! We also offer birthday parties, play dates, field trips, and event entertainment in our studio or in your school, home, or other venue! See our "Birthday Parties" page for details and availability! Check out our "FAQ" page, or feel free to contact us at info@themusicplayhouseofchicago.com or 773-572-8054. Customer Service is eager to answer your questions and tell you more about our exciting program!